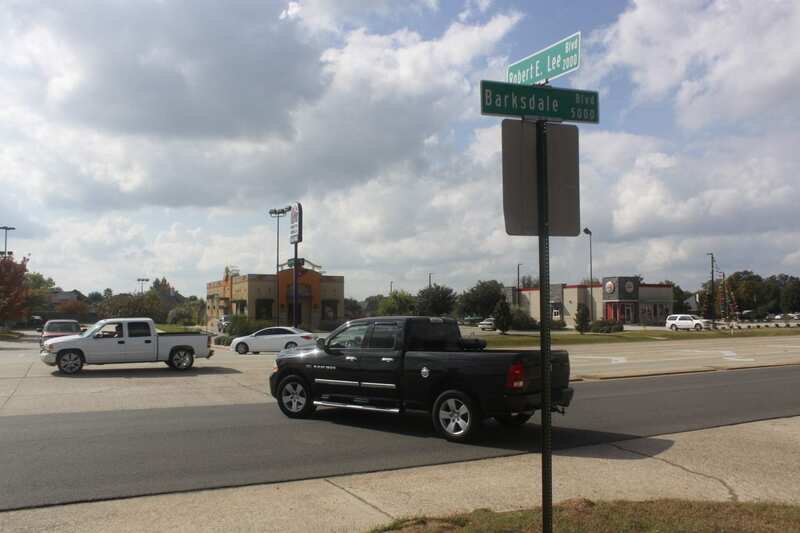 The south Bossier intersection of Robert E. Lee and Baksdale boulevards has been approved for a traffic light. The Louisiana Department of Transportation and Development (DOTD) has announced the installation of new traffic signal at US 71 & Robert E. Lee Blvd. in south Bossier City. Statewide traffic crews are completing the last of the required work and the anticipated activation date of the new signal is Wednesday, August 29, 2018, with activation dependent on weather conditions. An updated traffic study of the intersection began in January 2017 and was completed in April 2017. Previous traffic studies dating back to 2010 produced results indicating the intersection of US 71 & Robert E. Lee Blvd. did not meet the necessary warrants for the installation of a new traffic signal. The most recent study shows that traffic conditions have changed and the installation of a new traffic signal is now warranted. The warrants are based on criteria set by state and federal law. Throughout this process, other alternatives for traffic flow & safety improvements were considered for feasibility, as is in accordance with DOTD policy. This change in traffic pattern will be an adjustment for residents, so DOTD urges motorists to drive with caution through the area. · Offer maximum degree of control at intersections by assigning priorities to the different movements of traffic. · Keep traffic orderly and control the rights-of-way of the streams of traffic. · Interrupt heavy streams of traffic at intervals to allow lighter streams to cross, a situation that may be difficult without traffic signals. · Increase an intersection’s traffic-handling capability. · Increase safety of pedestrians and vehicles, especially broadside, or “t-bone” crashes. · Allow continuous movement of traffic. · May increase other types of crashes, such as rear-end collisions. · Can be expensive, costing taxpayers up to $500,000 per intersection, plus cost of electricity. · Can increase fuel consumption and air pollution. · Can cause lengthy delays. · May cause a safety hazard due to disobedience of signals and traffic detouring to inadequate alternative routes. · Will still be expensive due to the cost of signal installation and maintenance.